Can I Play El Gordo de Navidad Online? Read Reviews! 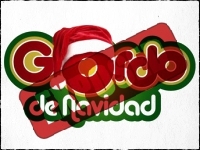 El Gordo de Navidad Exposed — Beware of Scammers Using El Gordo Name! Winning Sorteo Extraordinario de Navidad (Spanish Christmas Lottery) would be a remarkable way to celebrate Christmas. This once a year lottery is a not to be missed event. Simply read through the amazing articles about last year’s winners. Held just three days before Christmas, El Gordo Christmas lottery itself is a national event which all of Spain and international players participate in. Where Can I Play El Gordo de Navidad? Getting your tickets for the Spanish Christmas Lottery is easy. Simply click on one of our trusted lottery providers and you are in to win. TheLotter.com definitely offers the best deal at $40.50. Playhugelottos.com has three different options with their best value at $52. Wintrillions.com also has three options with a cost of $90 per ticket share though they also offer discounts on multiple purchases. TheLotter $40.50 – Best Price! What Is El Gordo de Navidad? Okay, I should stop right there. Many of you might actually play the weekly draw El Gordo in Spain. El Gordo, or the “Fat One”, simply refers to a big jackpot. The Spanish Christmas Lottery is only played once a year just before Christmas. It is really more of a raffle then a lottery with tickets issuing ranging from 00000 to 99999. Each number can be sold 160 times (referred to as series). These tickets can be broken down to 10 shares called decimos. Decimos can be broken down into participations. Christmas El Gordo is incredibly popular with tickets usually selling out well before the actual draw. On Sunday the 22nd of December, people gather in Spain to experience the draw. It’s a huge occasion with over 90% of the population, making sure they get their tickets. Part of the reason why is the amazing odds of winning something. The prize pool is a whopping €2,240,000,000 – yes that’s billions. The prize pool is vast with the El Gordo at €4 million that will be awarded to 160 tickets through to €200 for the 9,999 numbers with the same last digit as the first prize. I like the concept of the “La Pedrea” or pebbles of 1,794 draws of €1,000 times 160! What Else Makes El Gordo de Navidad Unique? This is not a draw where the big jackpot rolls over if it is not won. All prizes are awarded on the big day. Wooden balls with the ticket numbers are placed in one drum and balls representing each prize are placed in another. School children take turns drawing a ticket number and a prize and ‘sing’ out the information. They change the octave of the song depending on the size of the prize. The whole process takes about three to four hours with no one knowing when the big jackpot will actually be drawn. Though anyone can win Spain’s Christmas El Gordo, in 2013 they changed the rules and the tax man takes 20% of any prize over €2,500. Depending on where you are playing from, your own home country might require tax to be paid. It’s hard to imagine anyone complaining about this amazing lottery, but of course, there are scammers out there that can’t resist using its popularity. When you play this lottery, make sure you use a trusted online lottery provider. Besides the El Gordo jackpot of €4,000,000, there is a 1 in 7 chance of winning more than the price of your ticket with thousands of different ways to win. Would you mind rating El Gordo de Navidad? Reading through the stories of last year’s winners of El Gordo, it’s easy to see why this lottery is so popular. The prize range is one of the best in the world. Instead of one big huge jackpot, there will be 160 €4 million prizes awarded! Families and friends share in the winning with the ability to break down tickets to shares and participation. What a way to enjoy Christmas with a win. I’d like to take that to the bank. How Much Does It Cost to Play El Gordo de Navidad Online? This is a not to be missed lottery. Besides the range of prizes, I love the fact they don’t do it in order. Plus the fact the kids sing out the numbers. It’s not just a chance to win but good entertainment. Definitely a great way to open Christmas up!